Ole Einar Bjoerndalen is now an ole gold medal winner. The oldest ever at the Winter Games, in fact. The 40-year-old Norwegian biathlon great won the 10-kilometer sprint in 24 minutes, 33.5 seconds on Saturday, breaking the mark previously held by skeleton racer Duff Gibson of Canada. Gibson was 39 when he won gold at the Turin Games in 2006. Bjoerndalen will have to remain competitive for a few more decades if he wants to break the overall oldest mark, though. Swedish shooter Oscar Swahn was 64 when he won a gold medal in the Stockholm Games in 1912. Bjoerndalen isn't any Johann Come Lately at the Winter Games. Saturday's win was his seventh overall gold medal and also tied a record for overall medals won (he has 12). As a favorite in the men's and mixed relay, he could pass Norwegian cross country skiing legend Bjorn Daehlie while in Sochi. 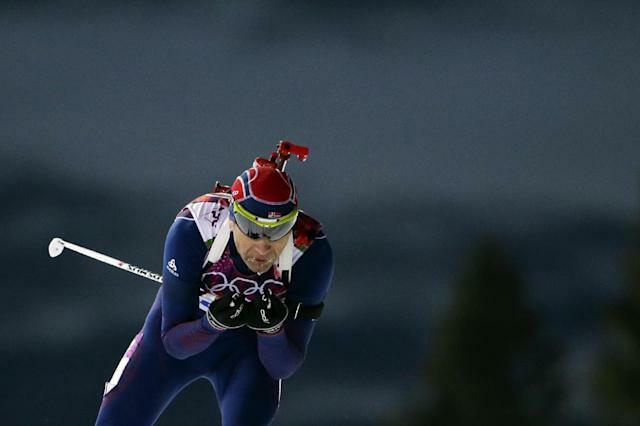 "I am just looking from race to race now," Bjoerndalen said via the Associated Press. "I try my best and then we'll see what comes out in the end."